***UPCOMING*** May 2019: For the Love of Science, by The Science Nation, held at The Royal Institution of Australia. 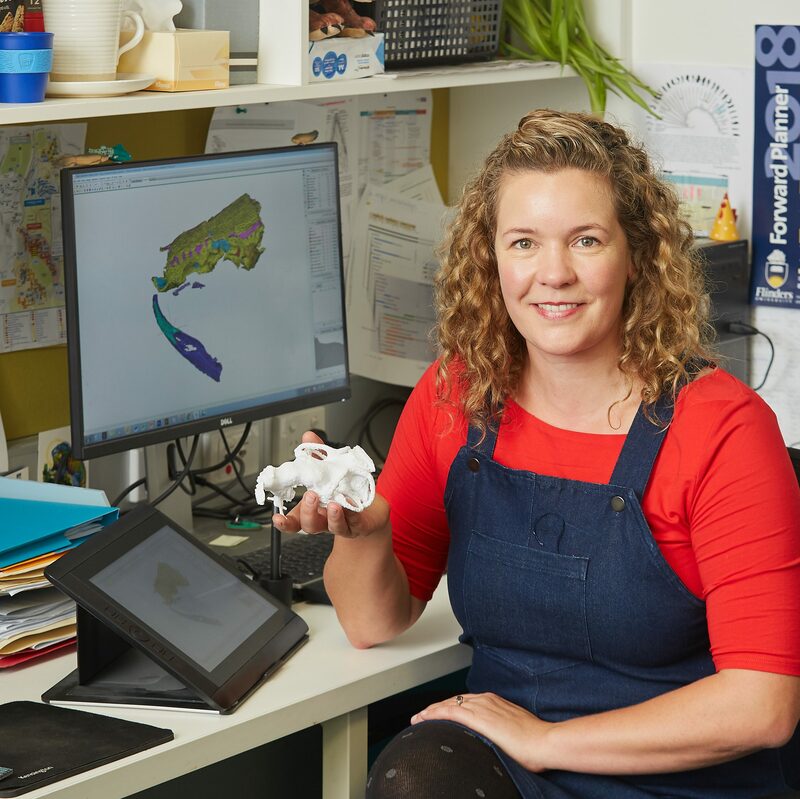 March 2019: Presenter at Super Daughter Day exploring STEM with girls aged 5-12, run by Work180 in Melbourne. November 2018: Invited speaker for Adelaide Planetarium “Supernovas” monthly meeting. Lecture topic: “Fish, Fossils and Brains“. November 2018: Panelist for Science Says!, an event designed to educate and entertain from The Science Nation, held at The Royal Institution of Australia. September 2018: Invited speaker for the Geological Society of Australia Networking and Speed Mentoring night. Adelaide University. June 2018: 10 minute live radio interview for ABC Radio Hobart Breakfast with Ryk Goddard about our paper investigating the stem-osteichthyan, Ligulalepis. June 2018: Filmed segment for TV about our work on Ligulalepis. April 2018: Invited Speaker for Palaeo in the Pub, public event at The Tavern, Bedford Park. Topic: “Once we were fish – exploring our piscine origins”, with Dr Brian Choo and Prof John Long. 2016: Live radio interview for Radio National Breakfast with Fran Kelly about my recent research into lungfish brains. 2010: Invited Speaker for Field Naturalist Club of Victoria. Seminar about fieldwork and recent fossil finds from the Gogo Formation. 2009: Live radio interview on Einstein a go-go (RRR 102.7fm, weekly science show) about a new fossil lungfish, Melbourne. 2009: Palaeo-Week Presenter, South Australia Museum. Seminar for High School students and the general public about palaeontology and careers in science. CLEMENT, A. M. 2018. The Enigma Fish from Wee Jasper. Beer n’ Bones. 12(3), 7-8. CLEMENT, A. M. 2018. Featured in the July edition of Total Girl magazine “Australia’s Best Tween Mag for Girls”. Can you dig it? Pg. 70. CLEMENT, A. M. and Long, J. A. 2018. It’s less than 2cm long, but this 400 million year old fossil fish changes our view of vertebrate evolution. The Conversation. May 30, 2018. CLEMENT, A. M. 2018. How to become a palaeontologist. Australia’s Science Channel (republished by Lisa Bailey). April 18, 2018. CLEMENT, A. M. 2018. On the hunt for tetrapod footprints. Beer n’ Bones. 12(1), 1-3. CLEMENT, A. M. and Long, J. A. 2016. A new brain-warp technique that helps to reconstruct fossil brains. The Conversation. July 21, 2016. CLEMENT, A. M. 2011. Keystones in evolution – Gasping for air. Cosmos. 41, 41. CLEMENT, A. M. 2010. The First Breath. Australasian Science. 31, 5.